Press conference for Carol with Todd Haynes, Cate Blanchett, Rooney Mara, Christine Vachon, Phyllis Nagy, Elizabeth, Stephan Woolley. Cate Blanchett and Rooney Mara are joined by Director Todd Haynes, screenplay writer Phyllis Nagy and Producers Christine Vachon and Elizabeth Karlsen at the London Film Festival Press Conference of their movie 'Carol'. the movie ia based on the book by Patricia Highsmith. 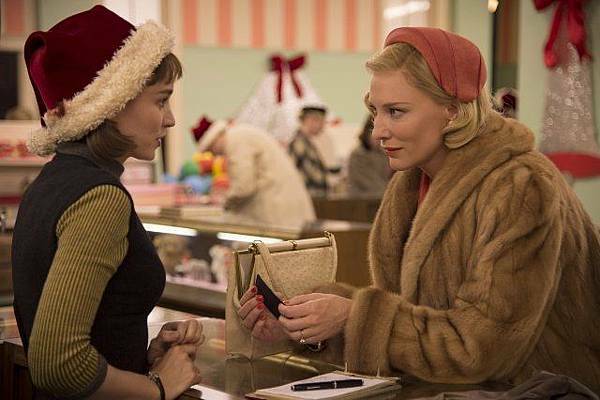 In this online exclusive 20-minute interview, Cate Blanchett, Rooney Mara, director Todd Haynes and screenwriter Phyllis Nagy talk about making the 1950s-set romantic drama Carol, adapted from the novel by Patricia Highsmith. 2016/1/7 Rooney Mara Reminds Carol Screenwriter Phyllis Nagy of Her Friend, Patricia Highsmith.